The Scottsdale Soccer Blackhawks Goalkeeping Program provides specific goalkeeping training to any Blackhawks player who is committed to the position. The goal of the program is to create a fun and enjoyable environment while focusing on each player’s individual development. The Goalkeeper Program is only offered to the Blackhawks Competitive Program player throughout the season. Blackhawks Goalkeeper training consists of one / two team training replacement session(s) per week for committed goalkeepers during the regular soccer season (September through State Cup). 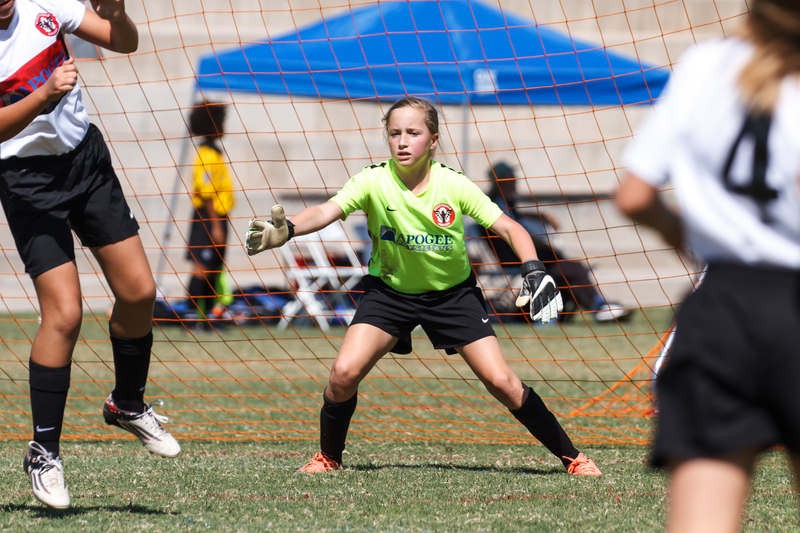 During the Summer (May, June & August), Blackhawks Goalkeepers are expected to attend the Scottsdale Soccer Next Level and Elite Age Group Training sessions where goalkeeping training will take place. Young goalkeepers have different physical and psychological needs than older players and therefore are provided a separate agenda. This is an exciting time for the players to learn and have fun with the goalkeeping position. We emphasize the proper fundamentals of goalkeeping and focus on techniques to insure the players safety for this age group. The goalkeepers here are in their prime learning years, both physically and mentally. The program will be devoted to refining the goalkeeper’s psychological approach, technical proficiency, tactical awareness and physical enhancement at this stage in their game. The goalkeepers here will be challenged to master all the components of goalkeeping and more. "We are very excited about the opportunity to work with all of the goalkeepers and players within the Blackhawks Competitive Program. We look forward to meeting and getting to know all of the new players over the course of the soccer season. Of course, we look forward to seeing our returning players as well. It is important that we all work together as a team providing support, strength and encouragement to all of the players associated with the Scottsdale Soccer Blackhawks, because ultimately we all have the same goal in mind -- to maximize each and every player’s potential ."